The Ohio Board of Regents, a nine-member advisory board to the chancellor with two ex-officio representatives from the state legislature, was created in 1963 by the general assembly. Members of the Board of Regents are appointed by the governor with the advice and consent of the Senate. 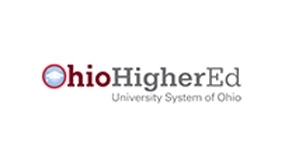 Responsibilities of the board include developing an independent annual report on the condition of higher education in the Ohio, and for advising the chancellor on issues of statewide importance affecting higher education. Ohio Board of Regents - 2012 Complete College Ohio Conference: "Ready for College"
Ohio Board of Regents - 2012 Complete College Ohio Conference: "Paying for Results - Performance Funding"
Ohio Board of Regents - 2012 Complete College Ohio Conference: Opening Remarks and "Why Completion is Important"
Ohio Board of Regents - 2012 Complete College Ohio Conference: "What Should You Do?" Ohio Board of Regents - 2012 Complete College Ohio Conference: "Help Me Cross the Finish Line"
Ohio Board of Regents - 2012 Complete College Ohio Conference: "No Time to Waste"
Ohio Board of Regents - 2012 Complete College Ohio Conference: "Central Ohio Compact"